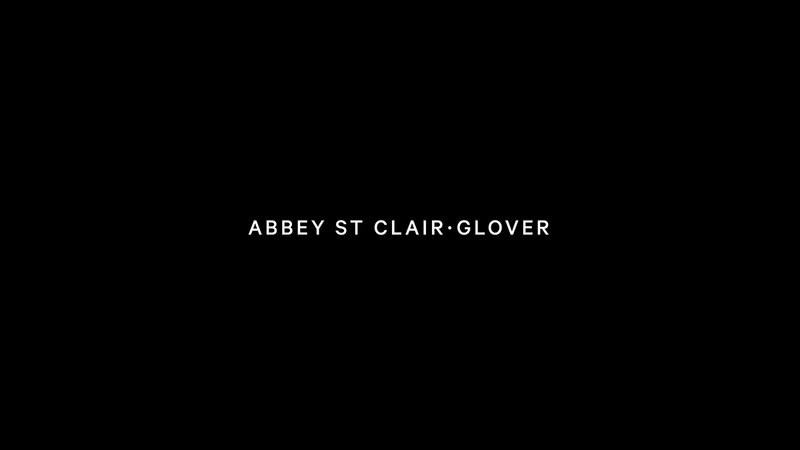 Abbey St Clair-Glover is an interior designer living in Sydney, Australia. 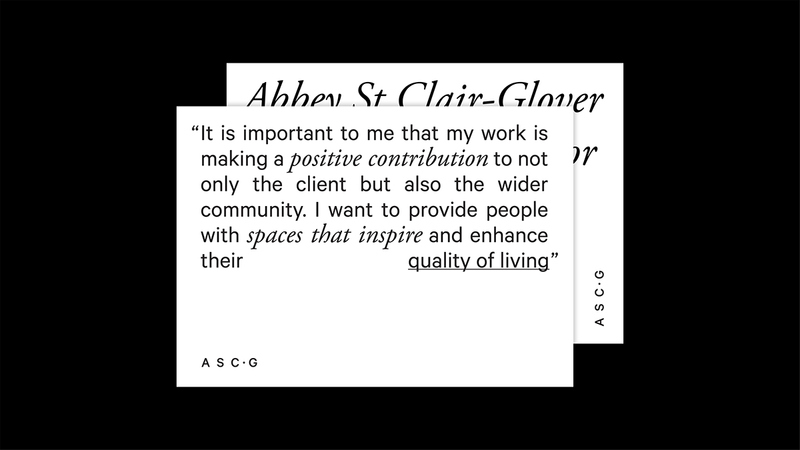 The objective was to create a functional and professional identity that would compliment both her work and her approach to interior design. The brand relies on a modular typographic system, emulating the process of designing and arranging a space. It is structured but not rigid and therefore able to adapt and change just as any space would. 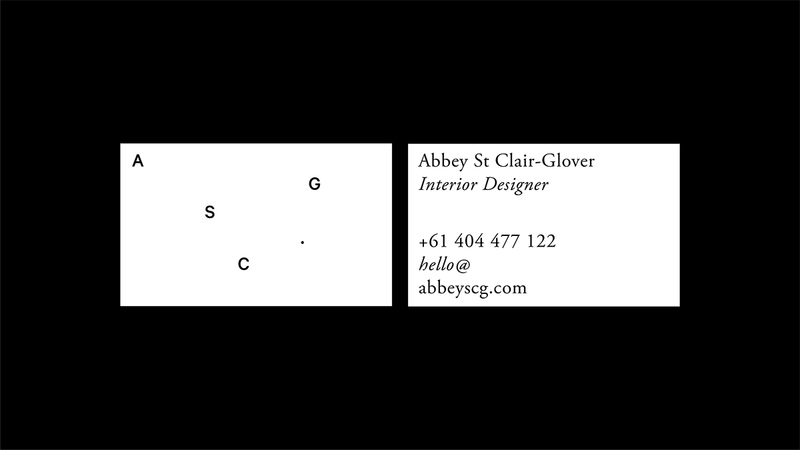 Abbey St Clair-Glover is an interior designer living in Sydney, Australia. 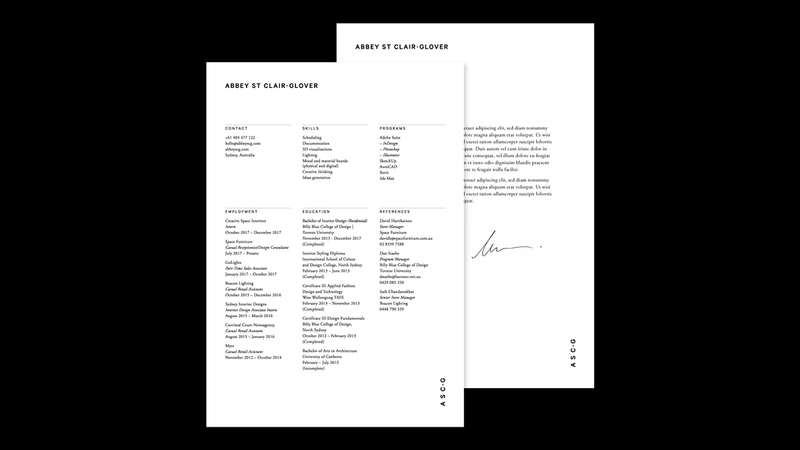 The objective was to create a functional and professional identity that would compliment both her work and her approach to interior design. 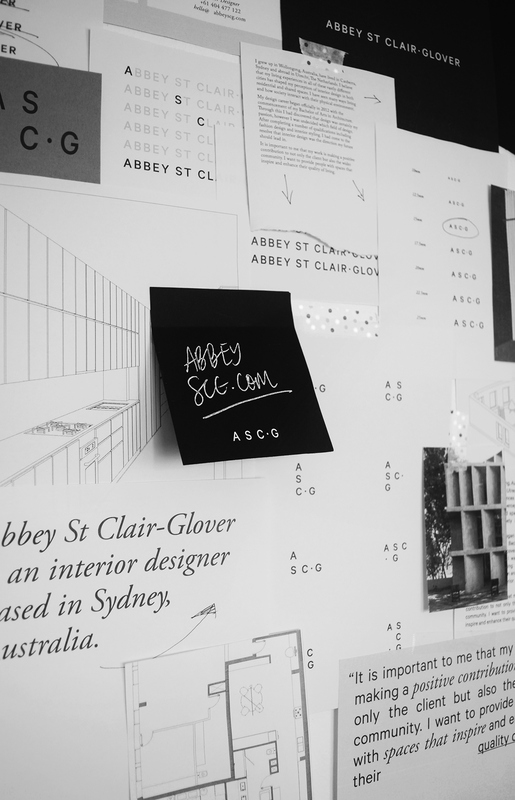 The brand relies on a flexible typographic system, emulating the process of designing and arranging a space. It is structured but not rigid and therefore able to adapt and change just as any space would.